Parenthood is one long series of things you do not expect, whether you read all the books or websites or attend birthing classes at the hospital. You may have a name, colors for the nursery, even an idea of where your newest arrival may attend preschool. But the truth is that with parenthood, you can always expect the unexpected. You can accept now that raising a little person and enriching your family life, comes with as many delightful and wonderful surprises as it does the occasional bump in the road. That’s why it is important to surround yourself with the experts who can help you through life’s surprises, especially when it comes to your tiniest one’s health. Some families know about a high-risk pregnancy ahead of time, but many families do not anticipate the extra care their newborn may need. It’s our job at Maple Grove Hospital and North Memorial Health Hospital to make sure we are ready for anything in the Family Birth Centers. That’s why we’re excited to announce our newest care-provider partnership: Minnesota Neonatal Physicians. The doctors of Minnesota Neonatal Physicians come to us with literally more than a century of experience, caring for babies born as early as 23 weeks gestation to those born at the time of their original due date, as well as any other newborn in the first month of life. That means they’ve honed this science into accessible, approachable, expert care for you and your baby’s specific needs. At Maple Grove Hospital and North Memorial Health Hospital, no matter how your birth plan goes, we are here to support your family. • 10 to 12 percent of births are premature. 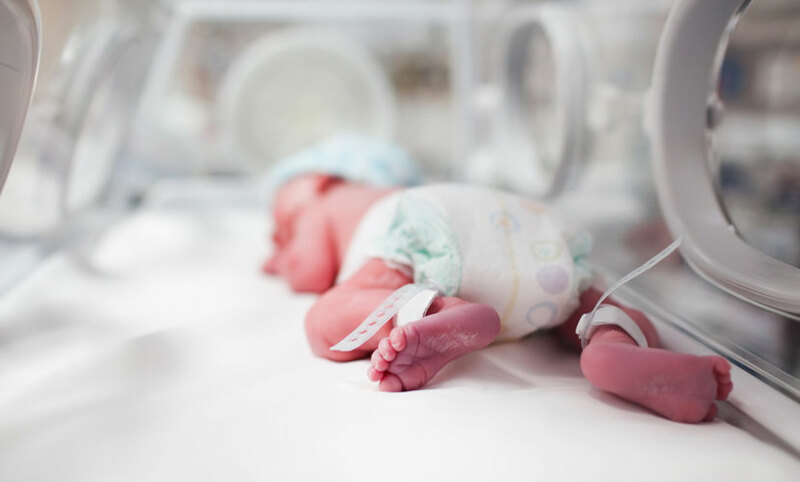 • Anywhere from 1 to 4 percent of all U.S. births have infection complications, and for preterm babies, those numbers can range as high as 40 to 70 percent. Those risk factors necessitate a NICU stay. Our neonatologists have spent years of training to become this super-specialized type of physician, clocking in a total of four years of medical school, three years of pediatric residency, and three years of neonatology fellowship. 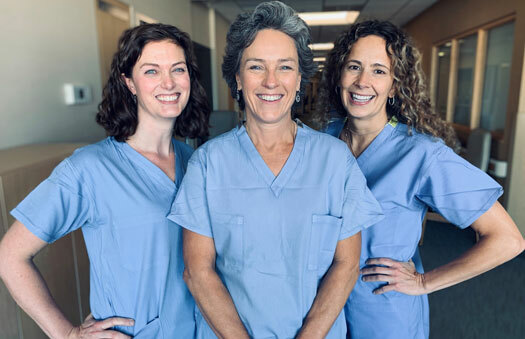 The doctors of Minnesota Neonatal Physicians support families by providing clear, open communication every single day, work with referring physicians to keep them posted on patient progress, and coordinate care with any specialist your baby needs. While they only provide in-patient care for your child, they are happy to make personal phone calls and keep themselves readily available to primary physicians to ensure your baby transitions to the best possible care at the time of discharge. Maple Grove Hospital can take babies as young as 26 weeks gestation, and North Memorial Health Hospital can accommodate babies as young as 23 weeks in the NICU. If you give birth within our system, we can offer you and your baby smooth and coordinated care—no matter which facility you and your baby may need. To find out how to make sure you have accessible, expert care and communication for your birth, schedule a family birth center tour at Maple Grove Hospital or North Memorial Health Hospital.